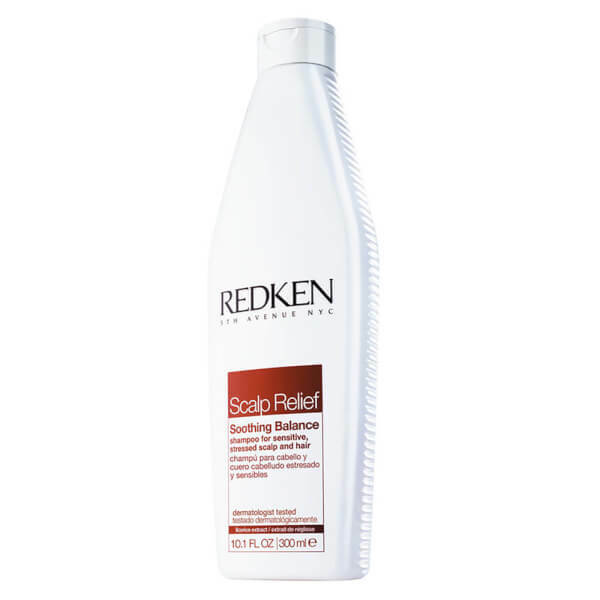 Calm a sensitive scalp with Redken Scalp Relief Soothing Balance Shampoo. It contains eucalyptus and liquorice extracts to instantly help relieve scalp discomfort and provide a lasting, soothing effect. It will cleanse impurities, leaving you with healthy looking hair and a soothed scalp.